The purpose of this mod is to show on-screen information about the block you are looking at whenever you hold the probe in your hand (or off-hand). The mod itself will show basic information like the name of the block, the mod for the block and also the tool to use for harvesting the block. 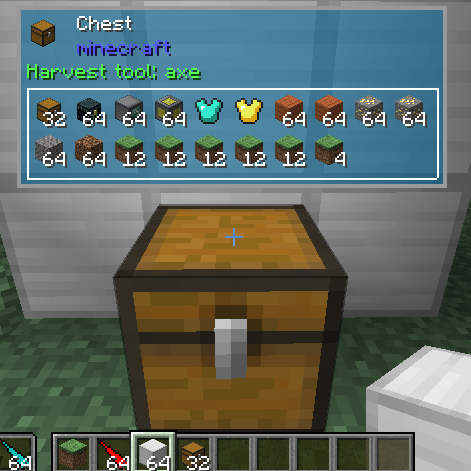 In addition this mod will also show the amount of RF energy that is stored in the block (if the block supports RF) and if you are sneaking it will also give a list of all items that are in the block if it is an inventory (like a chest). This mod is very configurable so you can disable all the features mentioned above if they do not fit your playing style or modpack. You are free to use this mod in any modpack.